This week the Centers for Medicare & Medicaid (CMS) unveiled the Next Generation ACO Model, which allows select Medicare ACOs to assume more risk in service of pursuing efficient and effective patient care. One of the most exciting opportunities in this program is clearly the ability for them to utilize telehealth above and beyond what is currently permissible in fee-for-service Medicaid. This may be just what telehealth advocates have been waiting for – a clear demonstration of the value of telehealth in FFS Medicare, which bodes well for provider reimbursement for telehealth visits. Read more about the importance of this opportunity to this new class of ACOs and the entire telehealth ecosystem on The HealthCare Blog. And for a broader understanding of the telemedicine reimbursement landscape, read the reimbursement blog post from 2015. The Medicare section goes into detail about the barriers to reimbursement, providing a full-scope view of the challenges for telemedicine. For more on the significance of the Next Generation ACO program, read mHealth’s analysis. Look for more insight into the provider reimbursement issue in 2016 on the blog, as we continue to look at what it takes for providers to get paid for telehealth. Kofi Jones is the Vice President of Government Affairs for American Well. Her primary focus is on collaborating with federal, state, and congressional leaders to ensure the proliferation of modernized and safe telehealth policies. 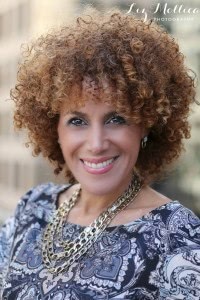 Prior to joining American Well, Kofi spent four-and-a-half years working for the Deval Patrick Administration, first as a Public Affairs Director and spokeswoman for the Governor’s Economic Development Secretary, and then as the Executive Director of the Commonwealth Marketing Office. She has also spent over 15 years as a communications and media expert, with a decade of experience in television news as a producer, reporter, and anchor.